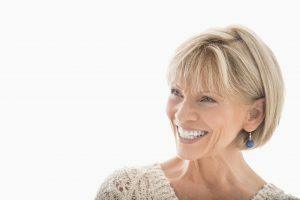 For adults missing teeth, dental implants have proven to be life changing in many ways. In addition to the aesthetic benefits, dental implant patients in Manhattan are often thrilled to be able to eat normally again, speak with confidence, and improve their overall oral hygiene. Dental implants are artificial tooth roots that are surgically implanted and positioned to hold replacement teeth, and the main type of dental implants is called Endosteal. Endosteal implants are small rods placed in the bone and they are also the most common type of dental implant. They can be screws, cylinders, or blades. Dental implant patients in Manhattan that make appointments with Dr. Scott Kissel are often thrilled to learn about his microsurgery techniques, which make surgery much easier. There are no major incisions, a microscope is utilized for greater visibility, and customized micro-instruments are used to create small openings for the implants. The overall trauma is limited because of this and the recovery process is much faster and is virtually pain-free. SMILE Technique – Dr. Kissel is the one of the few periodontists in Manhattan who provides Simplified Microsurgical Implant Lifelike Esthetics (SMILE). The SMILE Technique is a single-visit procedure that allows patients to leave the office with a natural-looking replacement tooth secured to an implant. During the procedure, the tooth is surgically removed using a minimally invasive procedure and a dental implant is placed immediately. The SMILE Technique is known for producing the most lifelike, natural-looking results possible. All-on-4® Treatment Concept – For individuals missing all of their teeth (or whose remaining teeth cannot be saved), the All-on-4 treatment provides a full arch of replacement teeth supported by four implants. The All-on-4® Treatment Concept can give you new and functioning teeth the same day as your appointment. Immediate Implants – Dr. Kissel has the ability to replace a tooth the same day that it is removed. Immediate implant bone grafting material is placed in the socket where the tooth was removed, and a temporary crown can be placed to complete the procedure. If dental implants are placed the day a tooth is removed, the area can be restored with highly esthetic & biocompatible temporary crowns in 2-4 weeks. No matter the reason for tooth loss, dental implants can provide a reliable, durable, often permanent solution. And, when dental implants are placed by a microsurgeon, the positioning can be more precise, surgical incisions are smaller, and patients experience reduced pain, swelling, and bleeding with a faster recovery period. If you have missing, damaged, or diseased teeth and live or work in Manhattan, dental implants with microsurgery may be the solution you are looking for. Contact Dr. Scott Kissel for a consultation today by calling (212) 702-9088. « I Have a Missing Tooth. What Are My Options?